Join the Santa Cruz Axis Syllabus Facebook Group Page for updates, videos, etc. 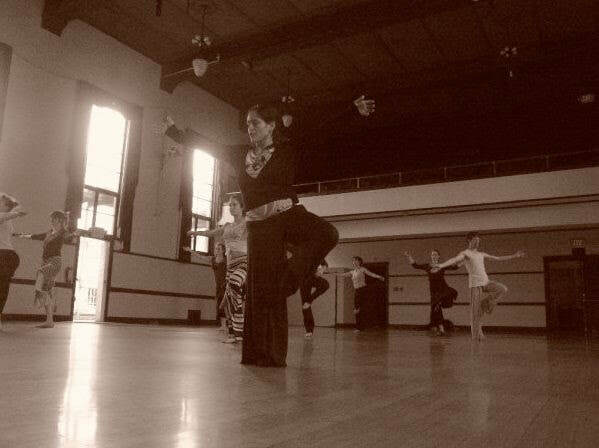 The Dance Convergence is a meeting of The Axis Syllabus and Feldenkrais® in Dance. Classes meld embodied sensory experiences with small refined body motions to discover and learn highly satisfying dances. Mimicking the teacher or visually following choreography is not necessary. Feldenkrais® ATMs reveal sensory details of movement while the lens of The Axis Syllabus offers a way to look at skeletal biomechanics and physics of an articulating body in motion. In the convergence we will have exhilarating dances. The Dance Convergence is held at Motion Pacific, 131 Front St., Santa Cruz CA. 3 weekends and 30 hours of classes total. You can take all 3 weekends, 1 weekend or Drop-in each day. The spine acts as a wave, an engine and a spring. The spine’s shape and structure reveal the potential for tri-directional motion that support contra-lateral limb movements, skeletal undulations along with compression and rebound for receiving and launching weight. These notions will drive our inquiry as we sense into, explore and study the details of the dancing spine. We will sense into the feet as articulators and supports while the body participates in the everyday actions of walking, turning, standing, and crouching. Embracing oscillations, de-segmentation and unification of body masses over a small base of support will be some principles explored while we hone our awareness to locomote and dance across the floor. There is potential for arms to offer buoyancy, delicate articulations and sound skeletal support while moving through space. In this class we will slow down to explore and harvest sensory details of arm use for dancing while reaching, supporting and accelerating or decelerating our body in motion. *All classes have an Early Fee up to one week prior to the first day of class. • Pay by check: send to 111 Seton Way, Santa Cruz CA 95060. Make check out to: Mir & A Company. • PayPal Invoice: send an email at info@mirandacompany.com. List the classes you want to sign up for. I will send you a return email with an “Invoice” to pay via PayPal. A (safe) link will be provided to send fees for classes. PayPal charges 2.9% + .30 cents per transaction. • Eventbrite will only allow for the first weekend in October payment and has a $7.50 transaction fee. • Website: www.mirandacompany.com will be launched October 15, 2018 and there will be an option to pay by PayPal. The Axis Syllabus is a resource manual for complex human movement. Miranda uses the Axis Syllabus in dance while applying anatomy and biomechanics to harness kinetic energy for dancing with ease and exhilaration. She aims to harness the sensory apparatus to garner awareness and movement principles for safe daily use that can lead up to high-performance physicality. Feldenkrais® Awareness Through Movement (ATM)’s employ a collection of small movements through sensory tactics to discover a larger whole movement. The aim is to gain body control through the sensory apparatus while eliminating excessive will or effort and while embracing ease and comfort in the body for simple to complex movement.